This was my first time to walk into a bridge like this. 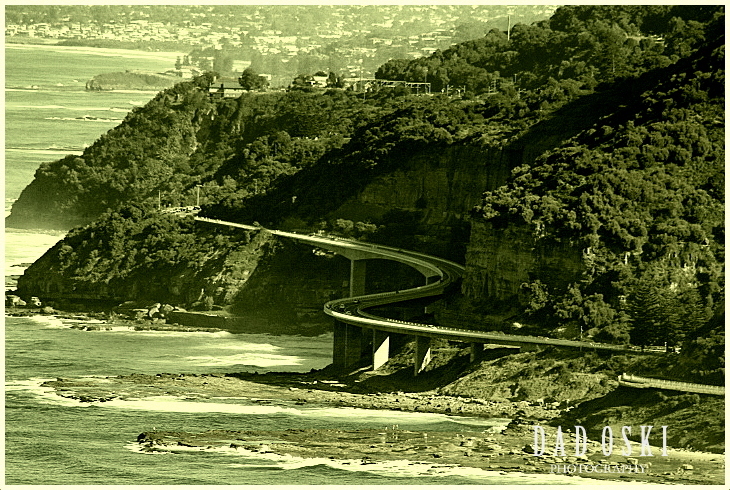 The $52 million Sea Cliff Bridge is a balanced cantilever bridge located in the northern Illawarra region of New South Wales, Australia and links the coastal villages of Coalcliff and Clifton. Aside from a two lane of traffic, a cycleway and a walkway were built from which people can enjoy the coastal scenery of the Lawrence Hargrave Drive. Indeed, spectacular as you go on a walk up and down the bridge with a view of the mountain cliff and the coast. 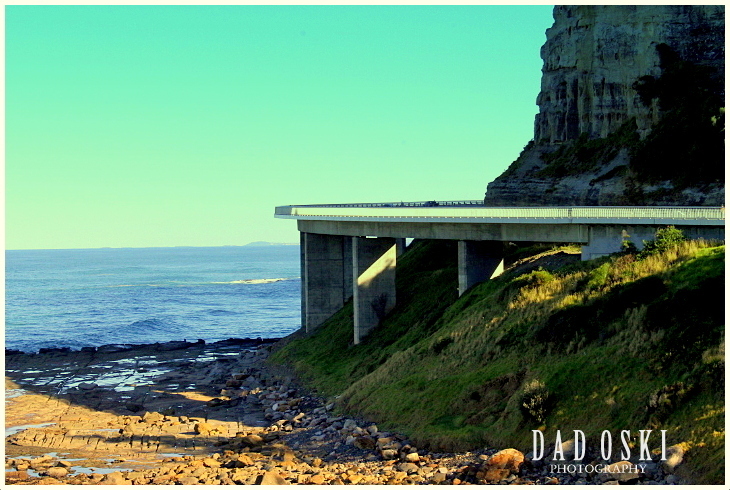 The 665 metres Sea Cliff Bridge was opened in December 2005 along the Grand Pacific Drive and has boasted the tourism’s annual intake of Wollongong, an icon to the people of Wollongong and around the world. Visitors can just get out of the car and stretch their legs. They say it is also a great viewing platform for migrating whales heading north/south during migrating season but I haven’t gone or seen this awesome view yet here. 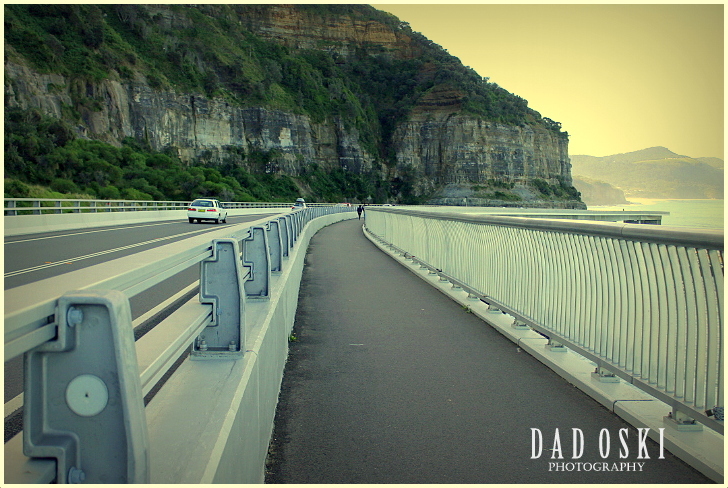 On a commercial advert on television, and I’ve seen this commercial too, the Sea Cliff Bridge has been featured in a joint 2007 Ferrari/Shell Fuel television advert that was shown not only in Australia but also in many countries around the world. The television advert featured a Ferrari Formula 1 car being driven along the bridge at high speed. Continuing a trend of using the bridge in a television commercial, the bridge has been featured in many car advertisements around the world, including in VE Holden Commodore commercials.